The Tsuchinoko is well-established in Japanese mythology. It is thought to inhabit the forests and mountains of Shikoku, Honshu, and Kyushu islands along with parts of the Korean peninsula. “Tsuchinoko” literally translates to “hammer’s spawn”. The Tsuchinoko is actually a small snake-like creature and has been in the Japanese lexicon ever since it first appeared in the Kojiki (the oldest surviving book in Japan) in the 8th century. This ancient cryptid can supposedly be anywhere from 1 to 3 feet long and has a body that is much wider than its head or tail, lending it the appearance of a snake in the middle of digesting a meal. Other features include a mouth that seems to be grinning, and horns or ears above the eyes. The eyes themselves are often described as mesmerizing. Also, legend has it that the Tsuchinoko smells like chestnut tree flowers. Alleged to have fangs and very powerful venom, much like a viper, the Tsuchinoko is also claimed to have the ability to jump a distance of up to 3 feet. Some are even said to swallow part of their own tail and roll along the ground in a hoop shape. Thought to have the power of speech and a penchant for lying, these small creatures are also believed to enjoy a little alcohol. Other Tsuchinoko have been said to squeak or chirp, and the consensus is that they possess scaly skin and a distinctive neck. Their bellies are often described as being bright orange. Over time, many rewards have been offered for the capture of a Tsuchinoko, the largest of these being in the region of $1,000,000! No hunt for this creature has been successful – at least not in terms of one of the creatures being captured. There is no doubt, though, that these Tsuchinoko hunts prove great revenue generators for local companies! The legendary creature continues to be popular – they have even shown up in video games such as Metal Gear Solid 3. They have also made appearances in manga, anime, and graphic novels, as well as inspiring the Pokemon Dunsparce. In June 1994, 73-year-old Kazuaki Noda was gardening with his wife when they encountered a giant snake with a body like a beer bottle. Its head was shaped like a tortoise’s. In Yoshii, Okayama a farmer reported seeing a Tsuchinoko while he was cutting some grass. He says he struck it with a farm tool but it managed to escape. Weirdly, the creature had a face like Doreamon, a famous Japanese cartoon cat. A lady found the snake’s body a few days later but she decided to bury it. Once she realized how important the body might be, she dug it up and sent it to the Kawasaki University of Medical Welfare to be examined. Quite what happened after that is shrouded in mystery. 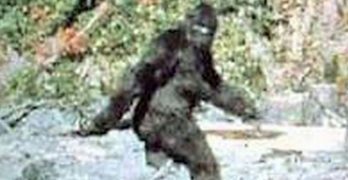 These events did, however, trigger an all-out hunt for the creature, with people flocking to the area after the local government offered a 20 million yen reward (around $200,000). The following month an elderly lady called Mitsuko Arima reported her own Tsuchinoko sighting. She said she spoke to the creature and it just stared at her. It had a round face and would not take its eyes off her. The lady also said its eyes were big, round, and seemed to be floating on the water. She had lived in the area for 80 years and had never seen anything remotely like it. A live Tsuchinoko was apparently captured in 1969 by M. Tokutake. He said he captured it using a forked stick and kept it for two days before deciding to eat it. Interestingly, he claimed the body had a double backbone. mysteriousuniverse.org, “The Mysterious Tsuchinoko of Japan”, accessed September 08 2017. Julian Cheatle updated Tsuchinoko on 22 Sep , 2017.